New web series, “I’m a Man” now out! Watch here! 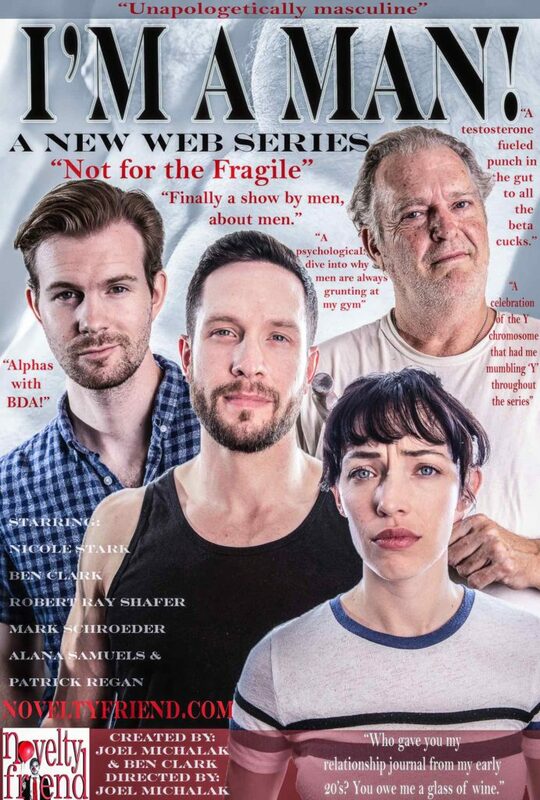 I’m a Man is a new comedic web series about masculinity in the modern age. Starring some of Novelty Friend’s favorites, Nicole Stark and Mark Schroeder, as well as The Office’s Bobby Ray Shafer (AKA Bob Vance). Also featuring: Ben Clark, Alana Samuels, Katie Foster, Patrick Regan, Danielle Puterbaugh, Casey Whitaker, and Robert Felsted Jr.